Looking for some fun hands-on STEM education ideas? Need ideas for your next science fair project? Look no further! 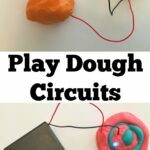 This is a round-up of 20 Elementary STEM science projects from my site. Check them out and try some for yourself! 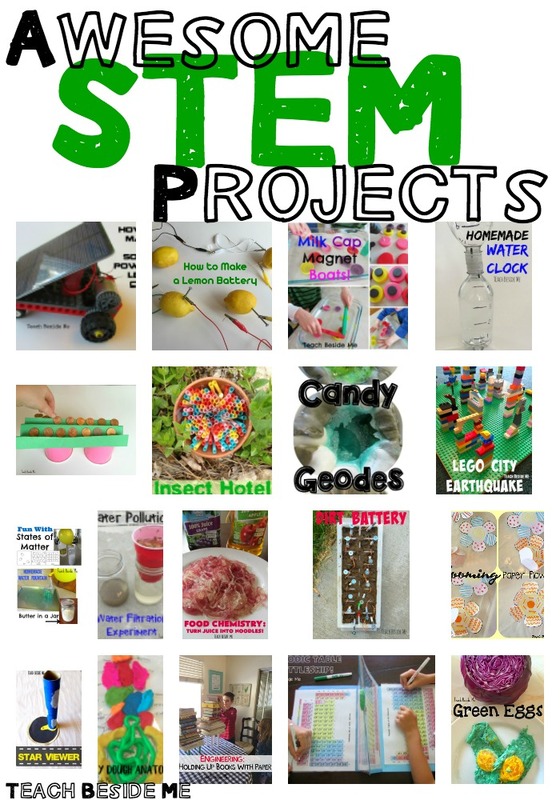 Be sure to check out my 200+ Elementary STEM projects, too! Science projects are some of my favorite things to do with my kids. Many of these ideas can be used in science fair projects, in STEM classes or just for fun learning activities at home. How are you learning STEM with your kids? Learn more about How to Teach STEM & Why it Matters. What’s your favorite project? 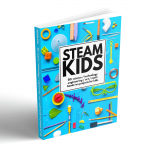 I co-authored a STEAM book to help kids get excited about learning these important topics. 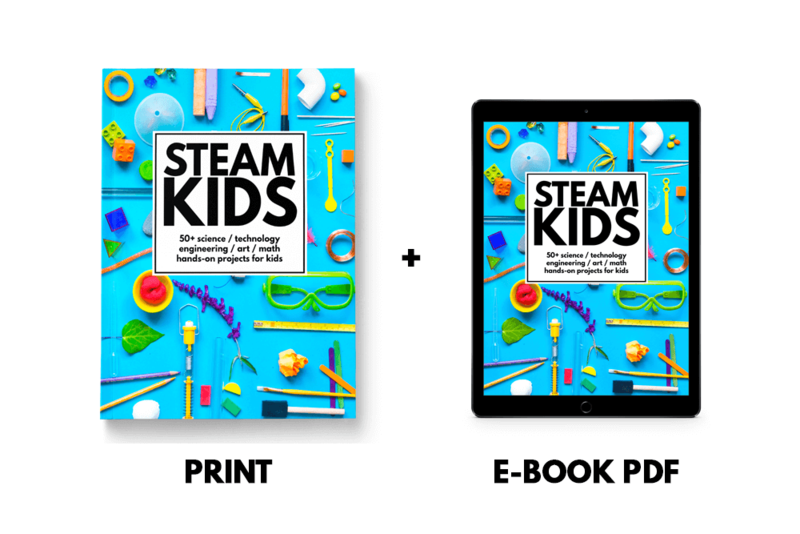 Learn more about the STEAM Kids book HERE. 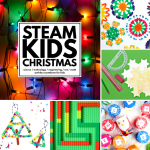 Find even more STEAM education ideas! I am new to homeschooling this year and I don’t know what we’ll be doing for a STEM program. My children love hands-on activities, so I know I need to figure something exciting out soon! I love your blogs and posts with ideas that I can use at home! I love STEM! Our favorite project so far has been creating rockets and roller coasters. With rockets each child was given one piece of paper and a roll of tape. The object of course was to make it fly. After some trial and error they did. There were a lot of great aha moments. With roller coasters they were gone foam pipe insulation cut in half, marbles and tape. Third goal was to create a coaster that had one loop and one jump where the marble landed in a bucket at the end. Lot of fun! We love STEM projects here. Gak is always a favorite with the youngest. But my older two really enjoy physical engineering challenges, like boat or bridge building with limited materials. I love watching them be create. We love marshmallow and toothpick STEM building challenges! My son loves to take apart anything that doesn’t work. We try to figure out what the different parts do ( which is quite hard with some of the electronic items) but we have learned a lot. And even fixed a few things! We use a variety of blocks and craft materials regularly and come up with challenges as a family. We also have a science book of experiments that we like to pick from too. SORRY!!!! My form wasn’t showing up. It is there now. One of my favorite STEM activities is creating square foot gardens with my children. Using a seed package can yield a wide variety of mathematic concepts. The square foot garden concept allows for measuring, adding, multiplication, and division– and al of this on top of the scientific nature gardening gifts children. Children use technology to plan the design, capture changes, and share their learning. Stem is such a great addition to homeschool. We like to incorporate art as well (steam). 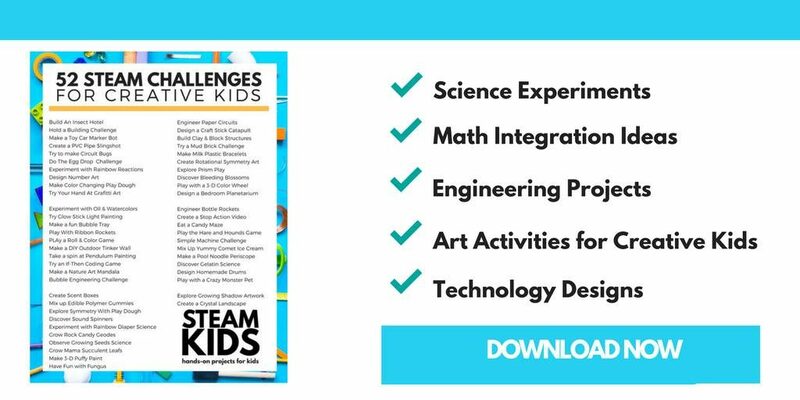 This year we will have weekly stem challenges. The kids will choose from a bin of pre prepped bags and complete the challenge inside. I was teaching 5/6 science and math. I connected the two subjects and incorporated other subjects to create STEM projects. This past year we created gravity cruisers and presented our projects to the entire community. This year I was moved to 4th grade the week before school started! STEM is still something I want to incorporate so I am looking for new ideas for a different grade level. Using an extra large suntan lotion bottle ( which I received from a friendly drug store display) we compared the size of items for a person who used a regular sized suntan bottle Most of which are are about one human hand tall. This introduced our nut on ratio and proportion. It also used estimation and opened their eyes to actual applications. 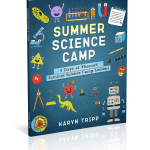 As we are entering this wonderful world of STEM in our homeschooling, I am so excited to have this opportunity to enter such an awesome give-away! Thank you thank you! Such great ideas. My guys love chemistry. Making bouncy balls and goop are a favorite. I need to try some of these other experiments. My favorite STEM based activities are biology and chemistry based. We’ve even done crime scene investigation science studies as my father is a retired police officer. I give a building challenge every day and that is our favorite stem activity! I love having my students in eighth grade learn about velocity by building their own marshmallow guns using a variety of materials and then testing the effectiveness. I need help with stem, we don’t do it enough! We love to do anything related to physics. My kids had fun hitting a plate out from under an egg and watching the egg drop straight down into a cup of water. We’ve really enjoyed garden projects this season. Music lessons are in their honeymoon stage & I’d be excited for ways to continue their enthusiasm. We’re looking into Rube Goldberg now! I’d love to play more games with our 7 & 10 year old kids. Dr. Bonyfide! Everything on my science list! Thank you! Love all of these, especially the solar-powered lego car! I pinned a STEM page from your site. Your jpg file won’t link and allow your giveaway to pin. Missing image? What is your favorite STEM project to do with your kids/students? We are beginning to enjoy loads of stem activities. We have made a rocket and launched it, put together a jumping frog robot, and constructed bridges and volcanoes and towers. We are planning on adding a ton more stem activities this year as my kids have showed an incredible interest in these areas. This would be a terrific asset. Thanks for the opportunity. I’m totally new to this STEM concept, so I haven’t done any projects yet, but I’m looking forward to incorporating some this school year! So many great experiments to choose from…..Lately we have been doing lots of exploding Chemistry on our Table of Science (said in a loud, booming voice!). Elephant toothpaste has been a HUGE hit! My boys love anything they can build/create with their hands. I am looking forward to seeing their minds blossom this year as we increase these kinds of projects. My boys love all types of robotics and putting together electrical components. However, I prefer life science projects so we mix up our activities to cover all types. My favorite STEM projects are anything with legos. Our favorite STEM activity is making oobleck! Also, breaking open geodes! My boys love to work with the snap circuits, and Legos. I’m fairly new to science, but last year my 7th grader students loved making goop that was runny unless under impact. Probably their favorite! My kids love hands on building activities. Legos, cubes, systems. We have enjoyed gardening projects, along with many other projects. SO we just organized my youngest rock collection into buckets on a toy shelf by type, color, etc. He now has his own geology station! One of my twins loves all things physics and experimented with flight one at science fair for his explanation of overcoming gravity. Basically, some people run, dance, read, paint……ummm… we science. I don’t have a favorite, yet, but I’m looking forward to doing a sink/float activity that is connected to our summer book James and the Giant Peach! We haven’t done any STEM projects yet, just starting kindergarten this year! We love making volcanoes, but are kind of new to the STEM world. I am really looking forward to incorporating more in our home school this year. thanks for the opportunity to win! We haven’t had the chance to do any STEM projects. Hoping to get started on some soon. This is my first year, and I’m still getting a feel for things. My 6 year old daughter loves any hands on science experiment. Love science and can’t wait to get my student more involved. My kids love to play with polymers. We need to do more STEM projects! Our biggest thing right now is technology so we work on web design and making simple computer games. This is so exciting!! My kids love stem!!!! My kids love creating things with legos and snap circuits. All the things! All the books. 🙂 Ahhh! What is your favorite STEM project to do with your kids/students? Last school year we made a paper skeleton with the bones and organs. We learned a lot along the way and plan on putting “her” on poster board so we can refer back to what we learned. Thanks for the opportunity to enter this great giveaway! STEM is new to me. Thank you for all the great ideas! Our favorite stem project so far has been the robotic fuel cell car that we made from a kit last year. This year we plan on building different types of bridges and seeing how they fare during earthquakes! Free periodic tables battleship? Free STEM giveaway? Yup, sign me up please! My 10 year old is a budding engineer, this would be right up his alley. My kids are still young so we are very much still exploring STEM. They love building things – legos have been great, marble runs, etc. Still so much to discover, though! Our co-op is doing a STEM class this year and my daughter is super excited. Science experiments is an area I struggle in teaching, so this could really help. I’d love to get these items, to share in a coop setting I’m in as well as the fun I find in exploring in these ways with kids! My favorite STEM project to do with my kids is making and building stuff. Real stuff, not just projects I come up with. They design and build Lego, Minecraft, their own toys, forts, kites, coding, small engine repair, and so on. We love the experiments but I’m not sure if we have a favorite. Love anything with magnets. We love all science projects. We are new to STEM but have done several experiments that are hands on that my boys love. My husband and son love doing projects together to see how things work! Honestly I am new to this so I don’t have a favorite yet, but I see you have a lot of great ideas and I am book marking your site!! We don’t have any one favorite, they just love anything science related! My daughter’s favorite thing is “chemistry experiments” (i.e. a tray of many ingredients from the kitchen, with bowls for mixing and experimenting). Our favorite activities are definitely building challenges. Circuits & robotics are favorites around here but regular sink volcanos never fail to please! My 4 boys love any STEM project involving Lego or changing states of matter. We love to do kitchen science while cooking. I am excited about beginning more STEM activities. We are new at homeschooling so just beginning to discover so much that we can do. We need to do many more STEM projects. But we love anything volcano related and my boys build rockets with my husband and love that. THe 3d pen looks neat. We are starting to homeschooling this year. Volcano, solar oven, and slimy polymer experiments are her favorite STEM activities. My kiddos and I recently read “String, Straightedge and Shadow” and experimented with dividing a circle into six segments with a compass! oh! I have not heard of that book! Off to check it out! My kids like anything that explodes (the messier the better!) or flys. I love doing snap circuit Jr. with my oldest. My favorite STEM project to do with kids is Fireworks In A Jar. I love to do building challenges with my boys.